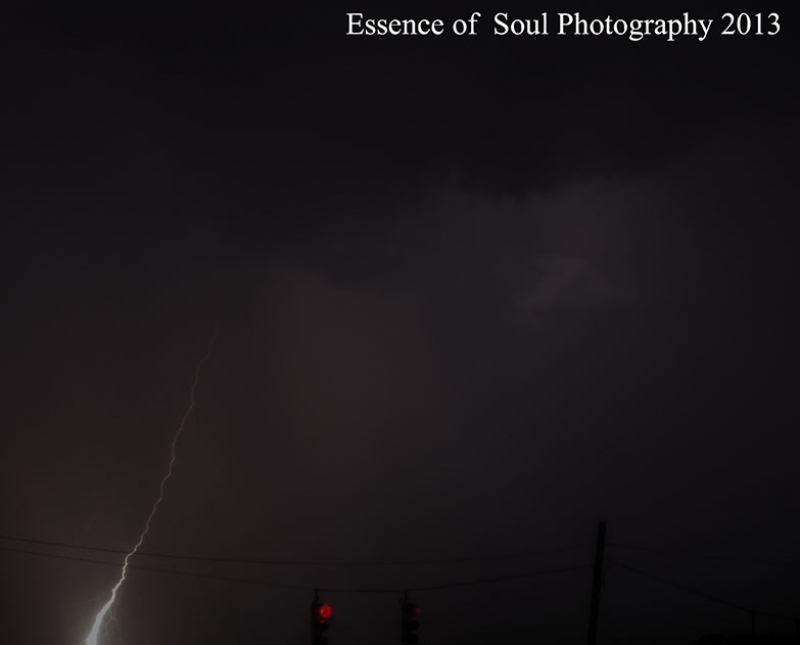 I was documenting this thunderstorm yesterday evening and was able to get this one strike. I love to shoot thunderstorms at night. In this photo you can also see the rain bans coming down.